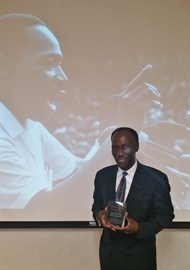 On the 87th birthday of Dr. Martin Luther King, Jr. and St. Bernard Hospital held its 19th annual celebration honoring the life and legacy of the civil rights champion. This year’s honoree, Michael Tidmore, is a restorative justice advocate in Englewood, who has become an example to at-risk youth that they can turn their lives around. 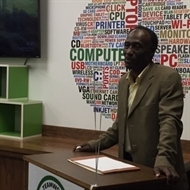 The inspiring "Good In Englewood" work of Englewood residents continues to be recognized by the masses. For the last 19 years the community relations committee at St. Bernard Hospital honors and recognizes individuals who provide youth mentoring.